Thought this was quite a catchy name for a post so I had to make something of it, who knows how regular this is going to be as I'm not the most knowledgable person so I'm probably going to run out of tips within two posts of this! But I promise to give it my best shot! My first tip is going to be on the foundation you chose. Yesterday someone asked me what I was wearing on my face and when I told them they then questioned how I thought to do that. This made me think, has no one else thought of this?! People spend so much money trying to find the perfect foundation but why not just mix a few together? On my daily routine I either use two or three foundations, by this I don't mean this many layers of foundation, I just mean mixing them together. 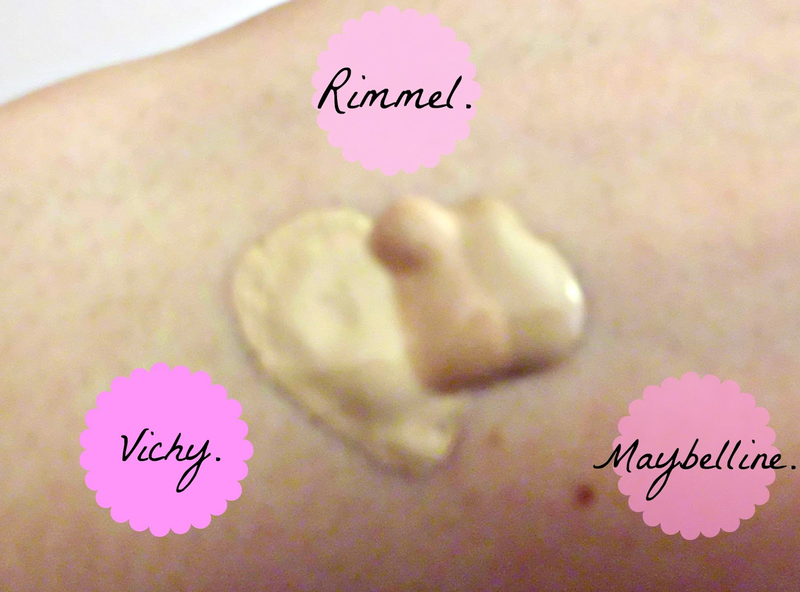 The first foundation I use is Vichy Derma-Blend Corrective Foundation in Opal, this gives me the coverage I need with just a smidge of a squeeze from the tube. It's a very good foundation with excellent coverage but I wanted something with a bit more radiance. 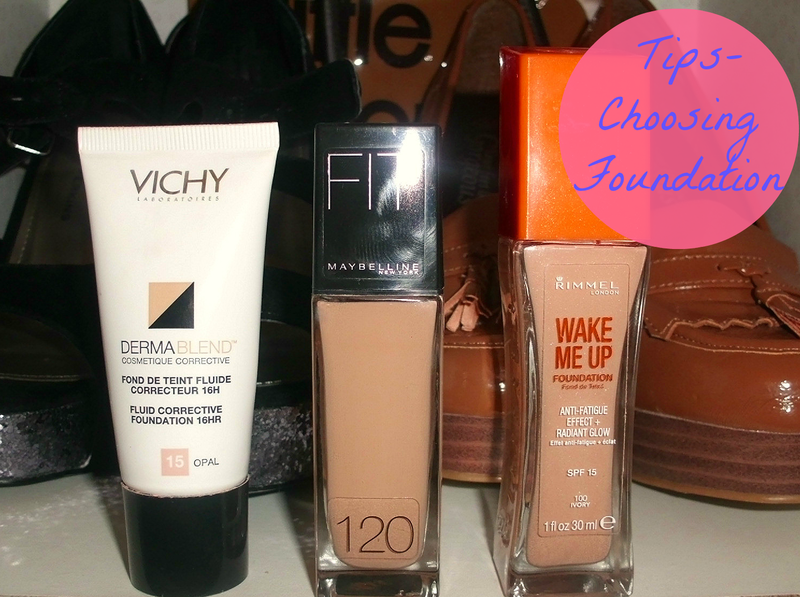 This is where my second foundation comes in, I love Rimmel Wake-Me-Up Foundation, I had it before I brought Vichy and I really did like it. My problem with it was that I found I was using to much product to get the right amount of coverage, and mixing these two foundations is just perfect! Usually I stop here with foundation, but if I have fake tanned my face is so pale compared to be body -considering I use medium strength tan and opal with ivory foundation, you can see my issue.- So I decided to make use of a foundation that I brought in the wrong colour, Maybelline Fit Me Foundation in 120. This adds the perfect about of darkness to the other two foundations. So to some up this tip, if you have any foundations you don't like try mixing them up with some others and see what you can come up with, it's definitely worth a shot! I hope this has been good advice, I'm sure the majority of you have already thought of this but I thought it was worth telling you about it, speak soon, becciixx. I love these products! I used to do this like sophomore year in high school once I realized my foundation really is 10 shades too dark. Hahaha so I used to always lighten it. But I've completely forgotten about this so thank you! If you don't mind...I may have to borrow your "Tuesday Tip" idea.. I have heard so much amazing stuff about the rimmel foundation! Love your post, nice job describing those products! !